This beautiful home is ready for its new owner! 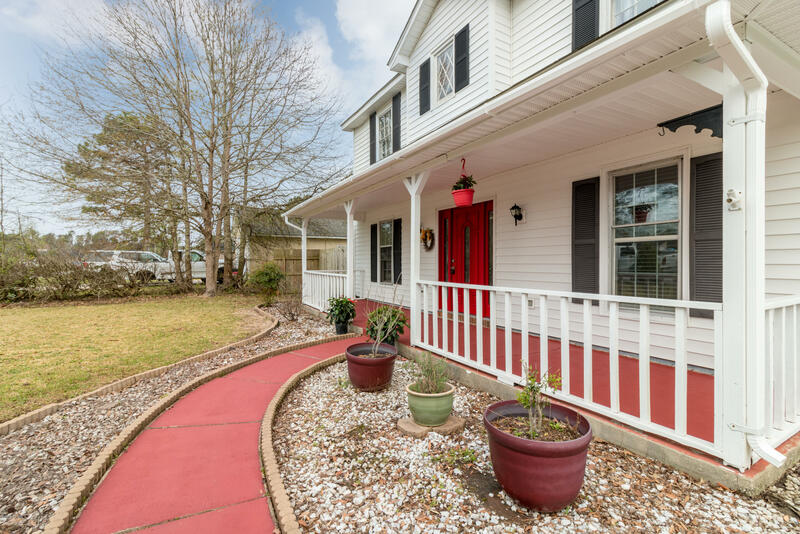 When you pull up, you're greeted by a charming covered front porch, with eye catching red door! When you enter the home, you'll find the spacious living room to your left, with laminate flooring and stone fireplace. To your right is the formal dining room with laminate flooring. Towards the back of the home is the updated kitchen with solid surface counter tops and charming tile back splash. Storage abounds in the kitchen, with an island, open pantry, and large laundry room. Upstairs you'll find three bedrooms and two full bathrooms. The master bedroom is huge, and boasts two closets and a private bath. The back yard is an oasis, with a large deck and privacy fencing. The location is convenient to Camp Lejeune, but no city taxes!